those who choose this sparse, rugged lifestyle"
community, and the help of neighbors is the norm. "I am not necessarily telling a story, I am telling a feeling. " 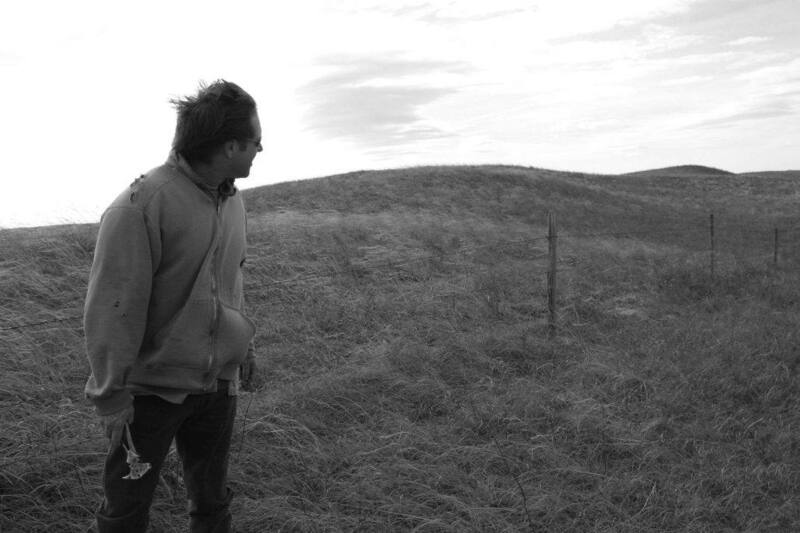 captures the lyrical and timeless feeling of the Great Plains"
in reality it is about everything important in life all rolled up into the ranch. Life, family, gratitude, hard work, perseverance, friends and community." of this place and the Sandhills people in general." zen-like manner: the same way to know any place in depth." It was such a wonderful show, should be in ALL the theaters in our state! 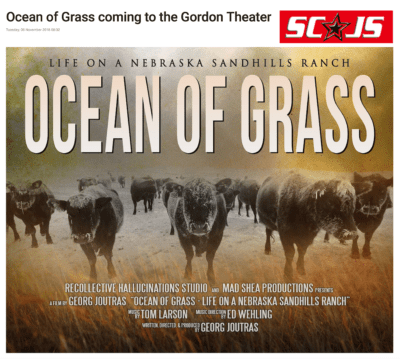 A beautiful movie about ranching in Nebraska Sandhills. It was so good, I am going again today...you don't want to miss this artful documentary. "This is a great film!" 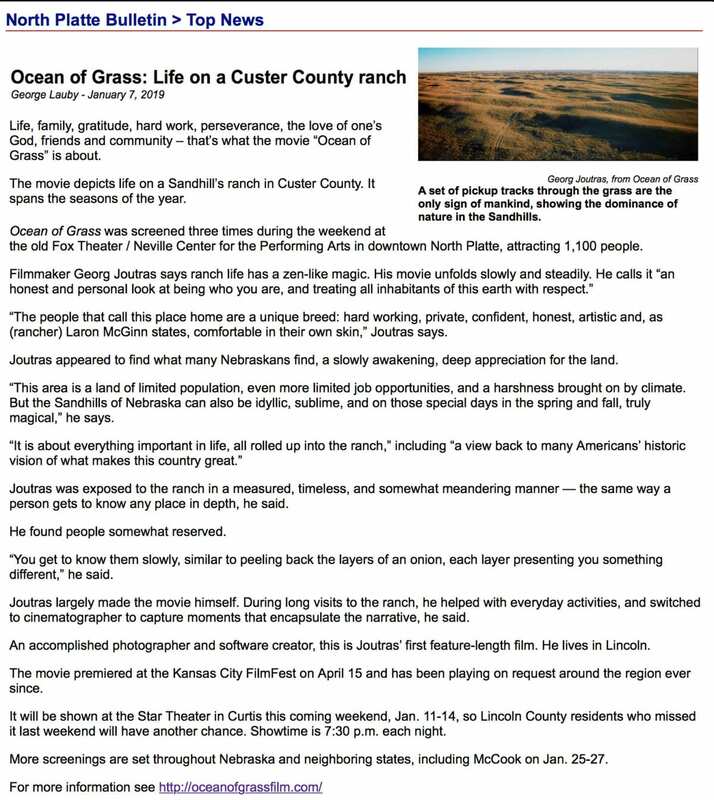 "the artistry rivals the best I've seen"
An incredibly realistic, deeply beautiful film about ranching in the Sandhills. 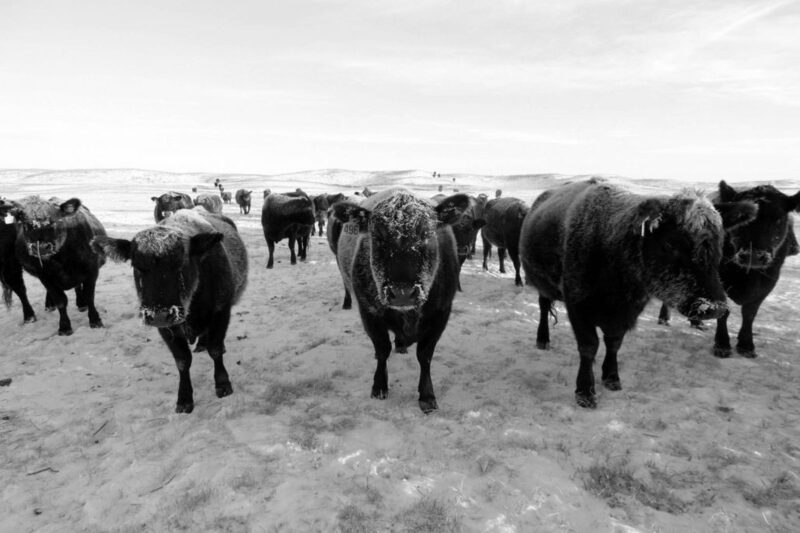 It utterly captured the culture, ethos & authenticity of the ranching community. 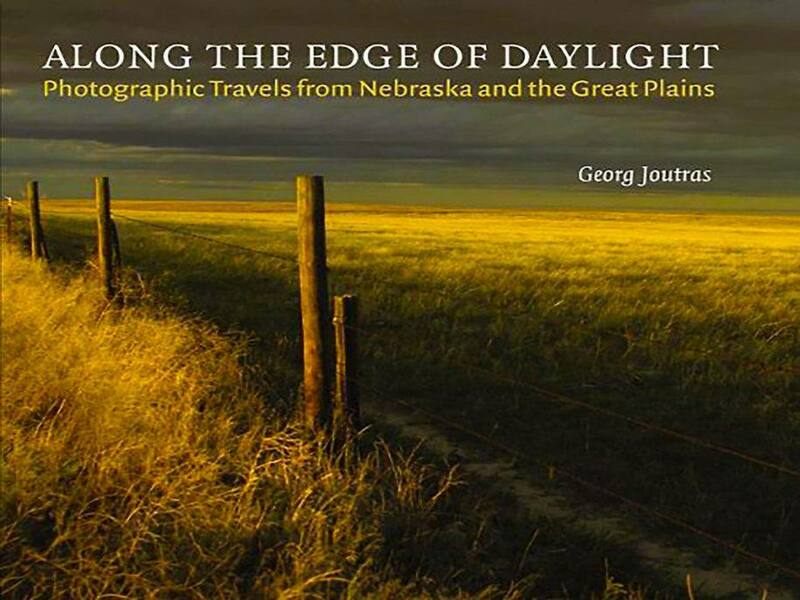 A visually breathtaking film that fully demonstrates the rich landscapes of Nebraska. "Thank you! Can't wait to see it again." The IMAX screen really brought to life the ultra fine details...in the film. Beautiful stuff. A most BEAUTIFUL and PHENOMENAL documentary! One might need to go more than once as I did, and saw more in depth the second time! The audience, which was spellbound, sat for a long time after the film was over, then ROARED and CLAPPED! It was amazing. 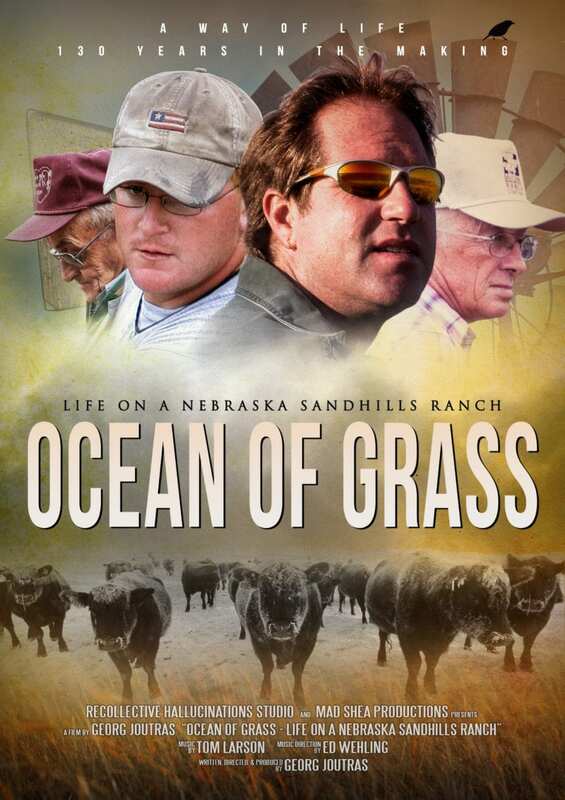 What a great movie and story about the Sandhills! 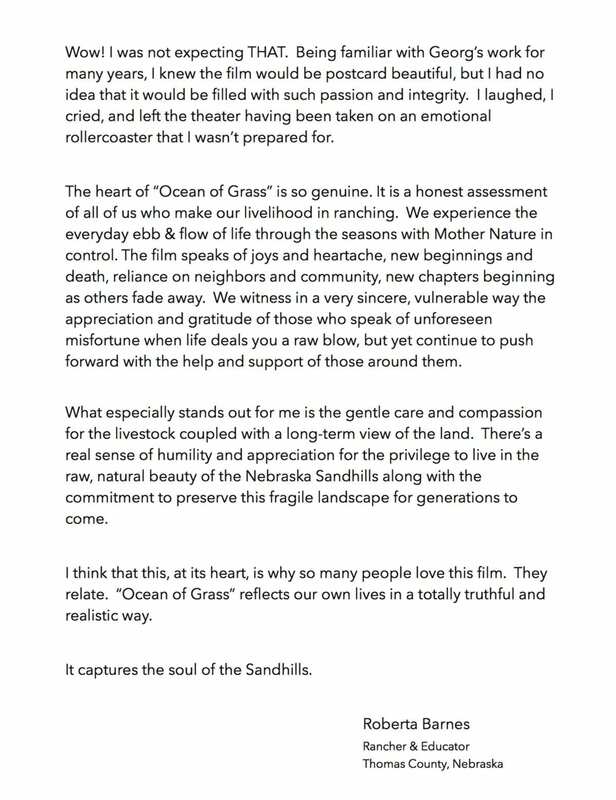 I wanted to let you know I LOVED Ocean Of Grass. Such a beautiful story. Truly one of the best shows ever, shows the spirit & hearts that make this place special. Great story and photography!! This is my THIRD viewing. It's well worth seeing. 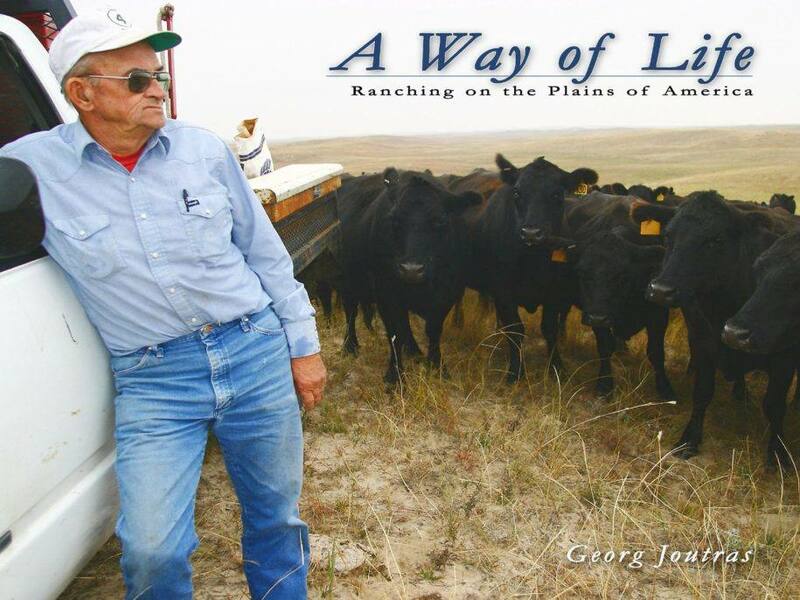 "a glimpse of ranch life"
It gives a glimpse of ranch life in the Sandhills and how one family has made it work for 130 years....no small feat! The photography was wonderful too!! I really enjoyed it! "Make sure you go see this!!" "Defines a new genre of documentary film"
"This was a beautiful, realistic, touching documentary. I absolutely loved it!" Thank you for all the work you put into the film. I really enjoyed the film and connected with it. It's safe to say that everyone in the audience did as well! Saw the movie last weekend - Exceptional!! 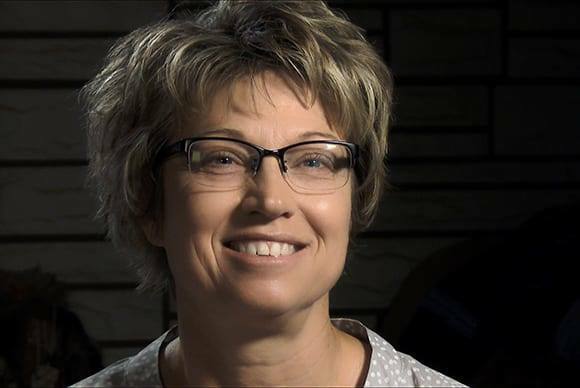 "The whole movie moved me deeply"
Thanks for making a great film about a great ranch family! "it needs to go nationwide"
I am from Nebraska and got to see it while back there in North Platte. FABULOUS FILM, it needs to go nationwide. "A truly FABULOUS film! GO SEE IT!" If you haven't seen this movie, GO SEE IT. If you've seen it, see it again. Very enjoyable. It was an emotional roller coaster to watch. I laughed and cried! "totally unique, a sublime film with a focused eye"
"Go people!! It is a GREAT show!! So real!!" Wonderful experience. Powerful. Proud to be a Nebraskan. Proud of my ranching family’s heritage. You captured it all in your film. "A movie where the audience applauds when it is over. Truly stunning!!" I enjoyed this movie so much! You should definitely see it if you can. "A great show! Tells it like it is!" Your film is amazing!! 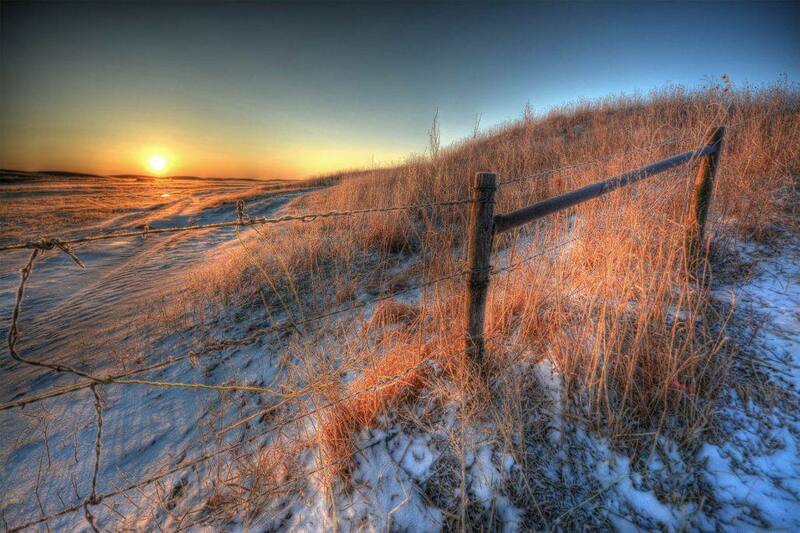 You captured the grit & passion of the McGinns & their neighbors and the beauty of the Sandhills perfectly! Thank you!! Wow! What an amazing film! I loved every minute of it. My 2nd time seeing it & my husband's first. He totally enjoyed it and coming from a farming background could relate to the calving season. We really enjoyed the Q&A afterwards. Georg, your journey to make this film is truly amazing! It was amazing! 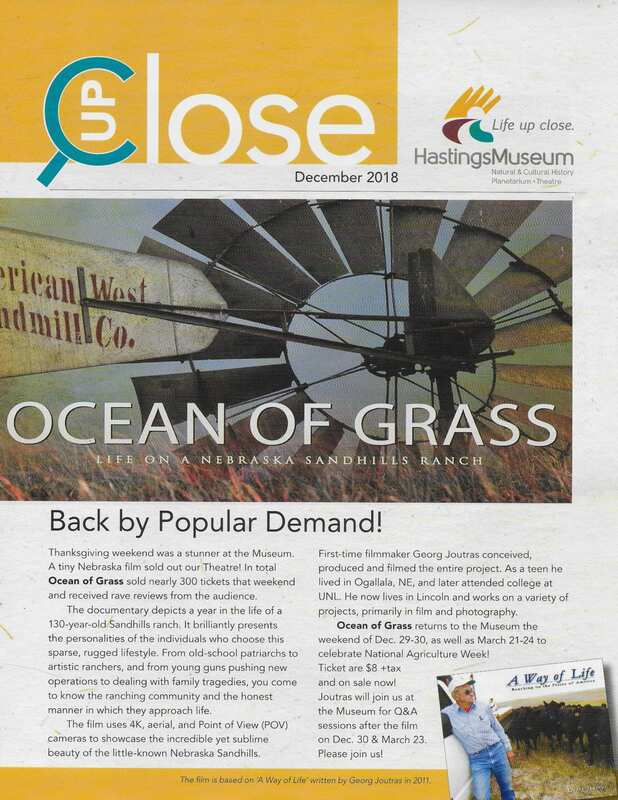 The cinematography, music, and the insight into the lives of the multigenerational Sandhills ranchers was outstanding! Hope you have additional showings throughout the state so others can be informed and enriched! 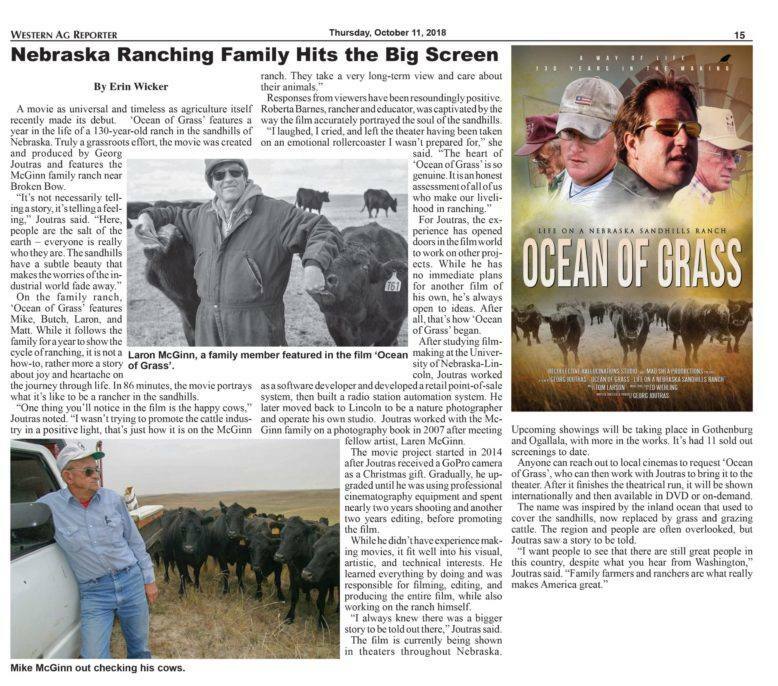 "make plans to see it"
If you have not seen this film yet, make plans to see it...What an amazing way to honor Nebraska beef producers. "an impressive achievement that showcases ranching with a meditative touch"
Everyone will find scenes that touch their emotions. This is an amazing film, family, and industry...a truly MUST SEE! (The film contains characters) as complex as any that our fellow Nebraskans Henry Fonda or Marlon Brando created. Such a great film! Beautifully photographed and so interesting. I felt great admiration for the families who are featured -- and the ones I know who live similar lives. The film was artistic and beautiful. Congratulations, so well done! "Absolutely loved the film. A must see!!" "(the film) harkens back to the best days of my childhood"
I got to see the movie with my Mom and we LOVED it. Mr. McGinn had us in tears and stitches. Feeding range cubes out his pipckup window & sitting with his coffee had us both tearing up. 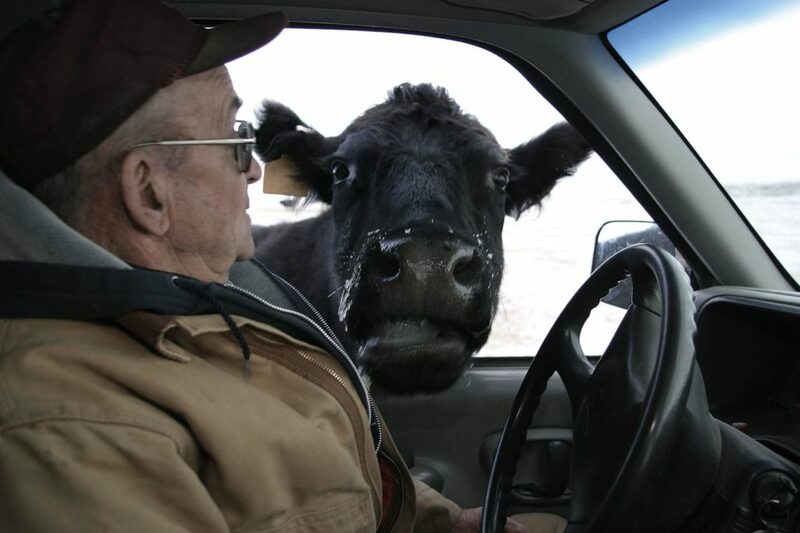 My Dad's favorite thing to do was to get a box of donuts, a cup of coffee and the OWH and head to the pasture. 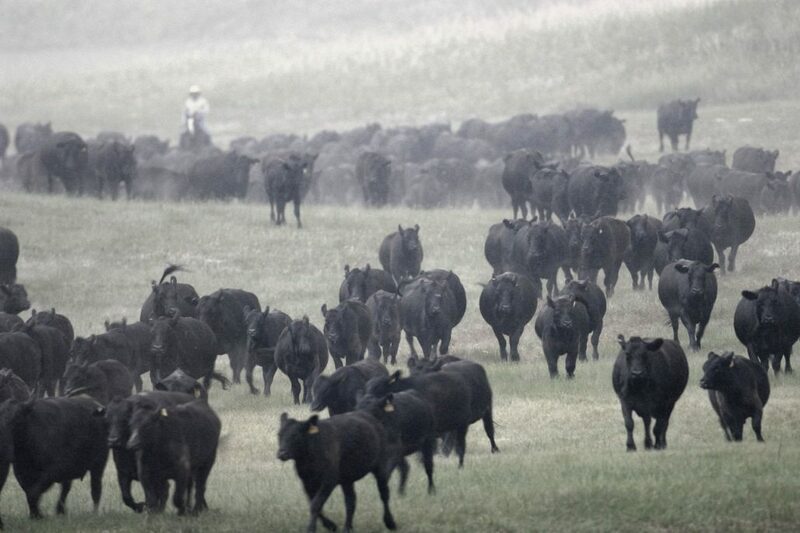 He'd find his herd and park in the middle of them. I finally got to see Ocean of Grass! It was amazing! It told the story of the Sandhills/ranching so well. "Saw this on the big IMAX screen in Hastings. Loved it!" "Every frame looked like a postcard!" Great film. Very interesting, HIGHLY recommend it! "You should really try to see this. It is really good!" 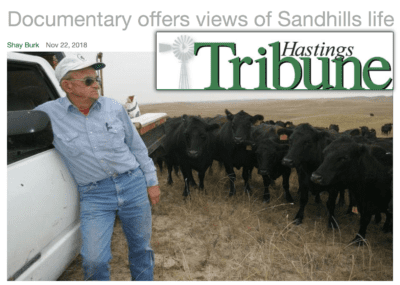 If you love the Sandhills, you need to see this film. ASK for it!!! Fabulous film...taking my husband today after seeing it yesterday. Great memories! This is such a worthy watch!! If you haven't seen it yet, mark your calendar and go! Excellent! I'm so glad I was able to see this documentary. If you LOVE Nebraska, don't miss this! 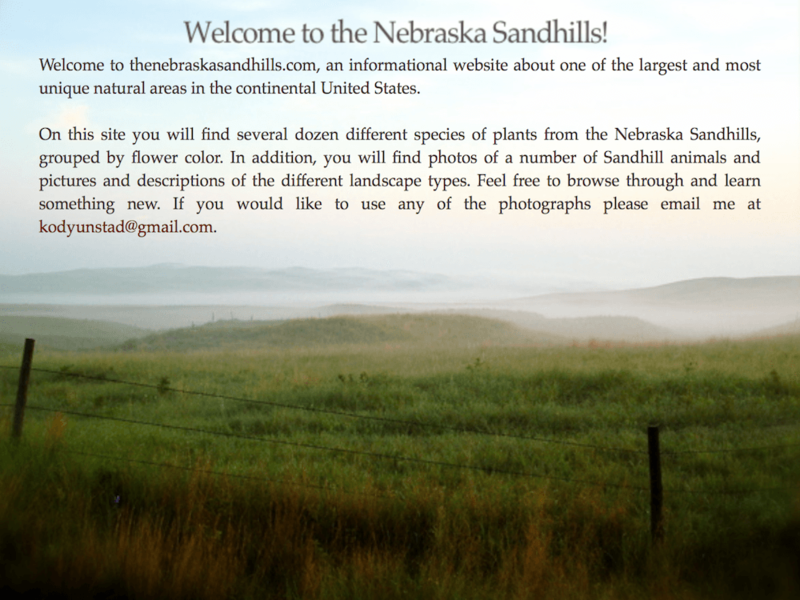 It was wonderfully done and captured the remarkable beauty of the sandhills, and her people. 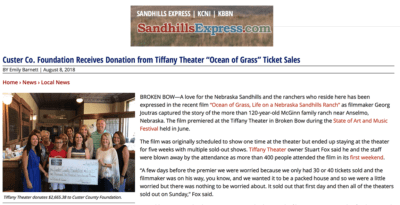 (saw the film) in Broken Bow June 9 & again in Kearney. Would go again, very awesome documentary! The film is incredible. If you're thinking about driving to see it, very much worth your time! "One of my favorite ALL TIME films!" From this old farm girl....I loved it. Best way to grow up in the country. Wonderful film! If you missed find somewhere nearby and go! Very well done! It’s an amazing film. I recommend it highly. At the end, you just feel good. We need more of these movies. Not a typical Hollywood drama - the drama comes as the viewer allows him/herself to virtually transcend beyond the screen & embrace the raw reality of this lifestyle. I just loved the film. It captured a simple, slow way of life on a family ranch with great story telling & humor, and just oozed the Sandhills. My sister and I took our parents Sunday evening. We all LOVED it!!!!! So good. So interesting!! Outstanding film! My husband and I enjoyed it immensely. Highly recommend everyone see it!! Well done!! 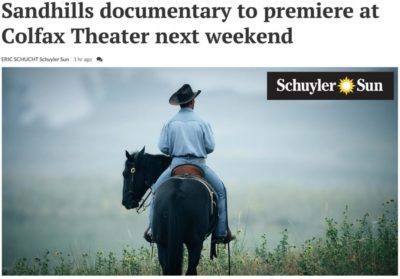 I couldn't wait to see this documentary, last week I did, and it hasn't left my mind since...I knew it would be heartfelt, TRUE GRIT, and touch the memories of many. I was crying within a minute, and throughout, and with laughter and continuous smiles mixed in. Saw this last nite! Loved it! 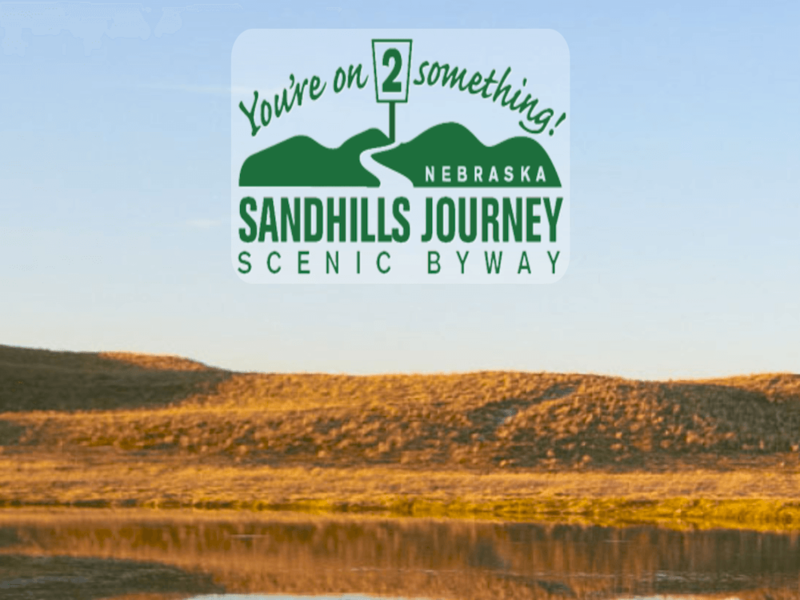 There really is no place like the Sandhills of Nebraska! "I'd encourage you to go, it's fabulous"
Loved your film, so genuine but not sugar coated. I'm normally a clock watcher but when your film ended I said 'Oh no! It's over already! Put me down for 30 DVD's....that was tremendous. A great movie about great people in God’s country. This is an AWESOME show!! I encourage anyone to attend...not just the ranchers. 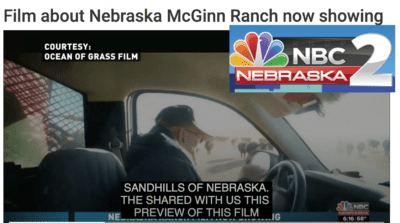 Thank you for doing this film- so much education about the McGinn family & the sandhills- love this part of Nebraska. You may not know the people in the film, but you know people just like them: they gather around a big table at the restaurant on rainy days, talk land & cattle & machines. Most days they are on the land, working it, loving it, & hating it. This is a beautiful film, and well worth the time. Went to (Gothenburg) show on Tues and so worth seeing. 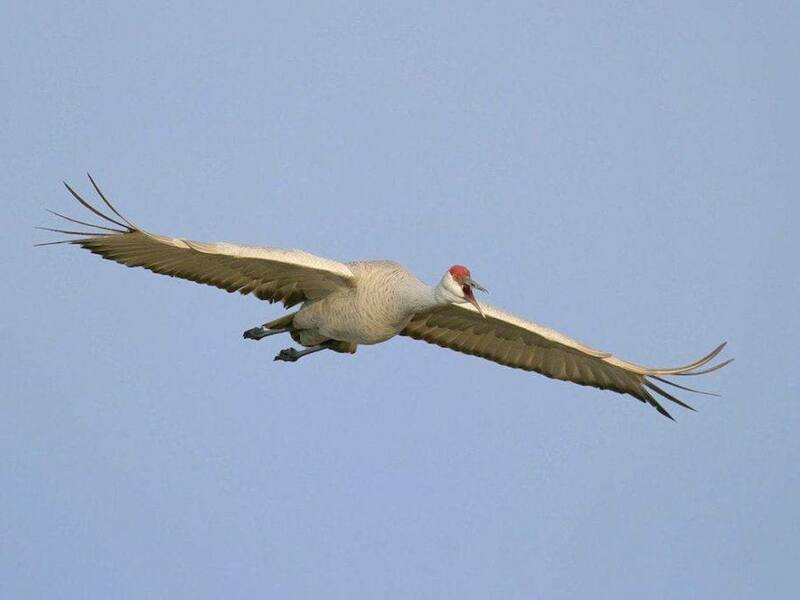 Save those Sandhills. 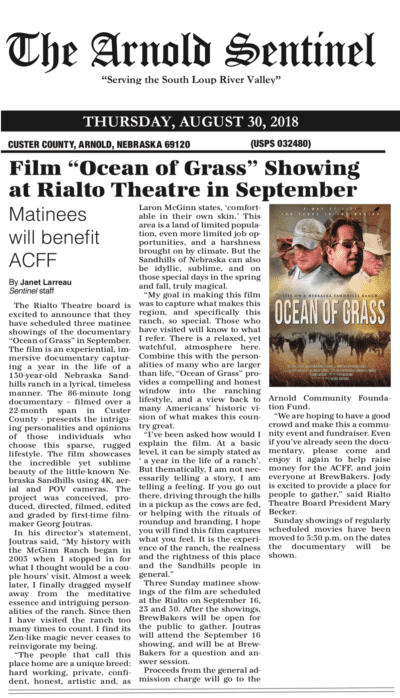 If you have not seen the magnificent film, “Ocean of Grass”, buy your tickets now! 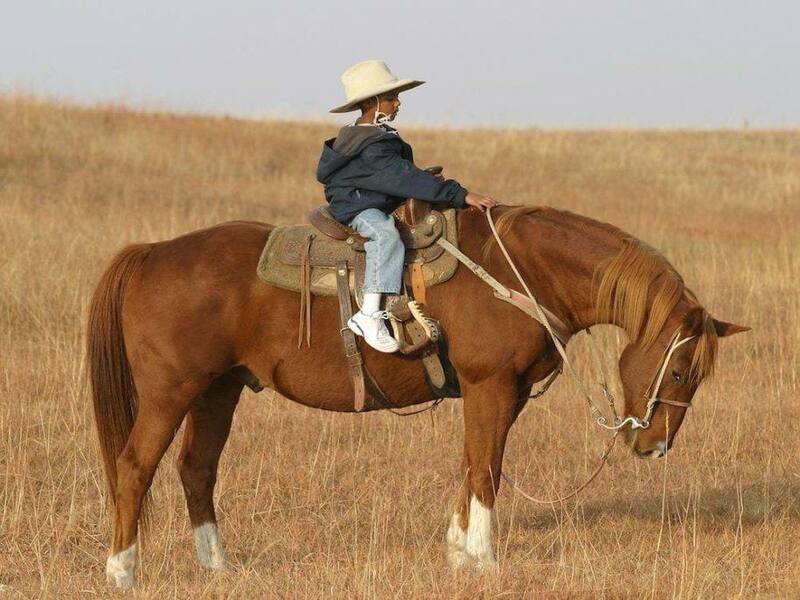 You will laugh, cry and fall in love all over again with ranch life in the Sandhills of Nebraska. Thank you for this masterpiece that is hands down my favorite film of all time. Interested in booking the film for your venue? CLICK HERE! ” The audience, which was spellbound, sat for a long time after the film was over, then ROARED and CLAPPED! 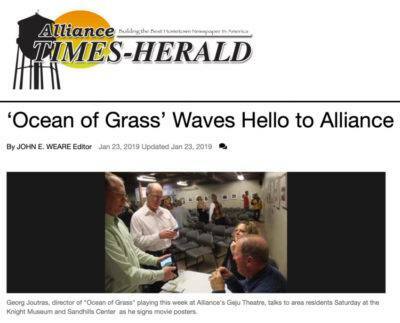 Join the 14,000+ people who have already seen OCEAN OF GRASS! The film will be the feature for the “Dinner & A Show” night to benefit the Close Up Washington DC trip next Spring for our Juniors and Seniors. Students fundraise the entire cost of the trip. 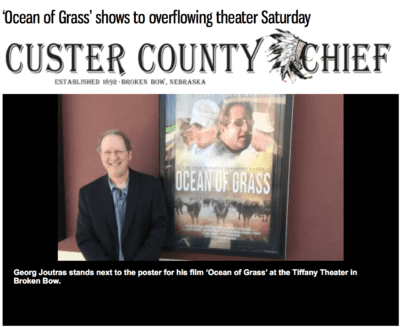 Appearance promoting Ocean of Grass on NTV’s “Good Life” program. 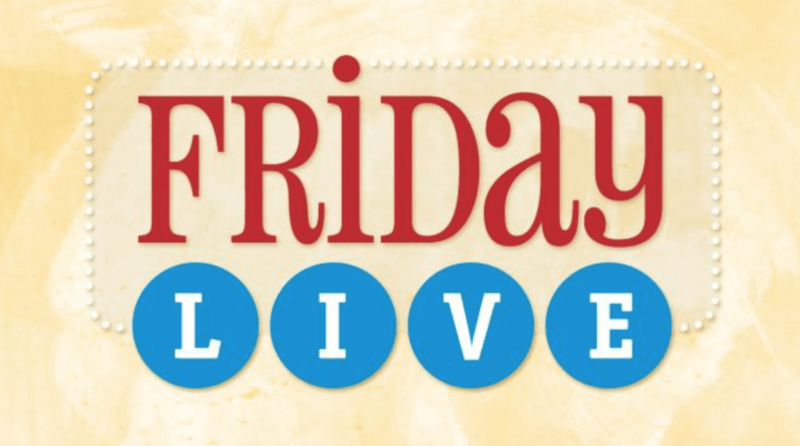 Friday LIVE video stream about “Oceans of Grass”starts at 19:00 mark. It is a documentary featuring the rolling Nebraska Sandhills, but it is not about the sandy soil and mixed prairies. NET-Radio Interview with filmmaker Georg Joutras starts at 08:00 mark. A community event and fundraiser. 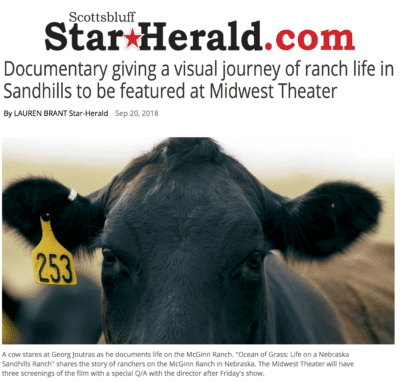 A film detailing life on a Sandhills ranch is playing at theaters across Nebraska. This all started because I went to a bar. 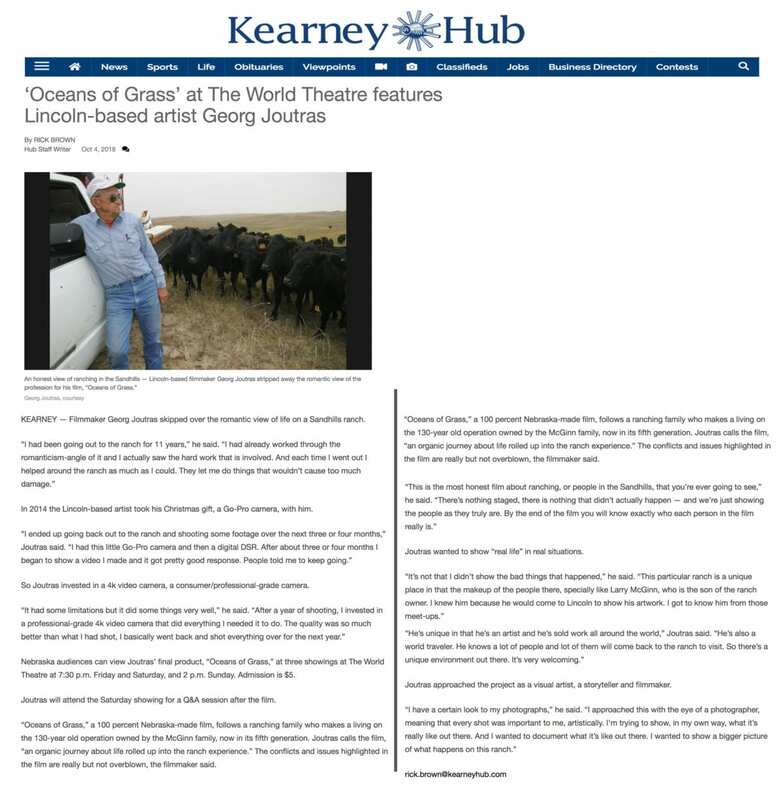 In 2003 filmmaker Georg Joutras was visiting the McGinn Ranch, a then 120 year old family ranching operation in the Nebraska Sandhills. 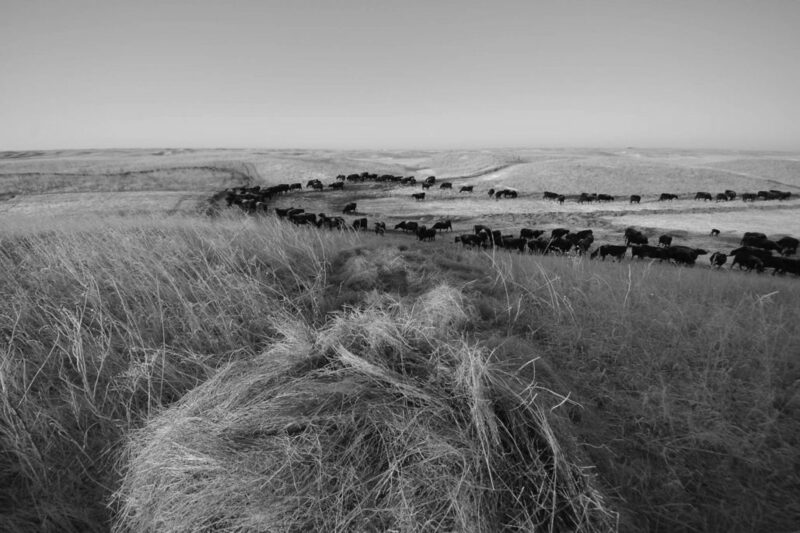 While consuming a beverage or two at the Double T Bar in Halsey, Nebraska, Georg casually asked Laron McGinn if he might create a large-format photographic book about the ranch. While not specifically saying “Yes”, Laron didn’t say “No”. As Georg stated, “That was good enough for me!”. 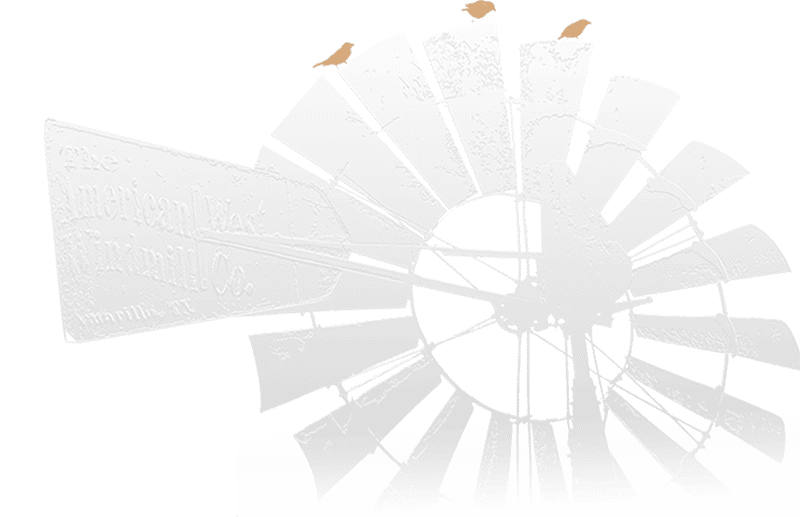 Flash forward ten years – the book project long ago completed and searching for another meaningful project to tackle, this time in the film and video realm. The lure of the McGinn Ranch, and its magical hold on all who experience it, is a story Georg long wanted to tell in this immersive form. 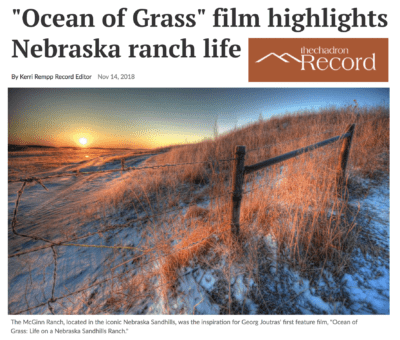 Twenty-two months of filming later, “Ocean of Grass, Life on a Nebraska Sandhills Ranch” is born. 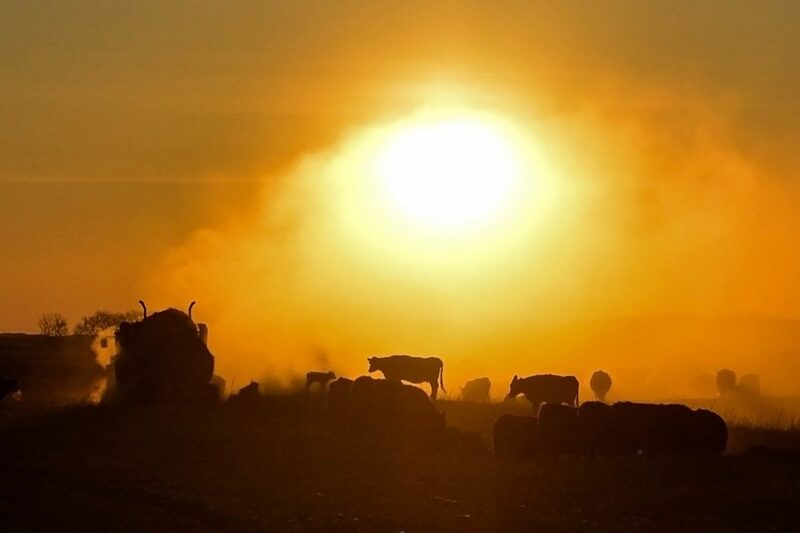 Travel to this hidden, idyllic location as the movie documents the fascinating people, the lands, its creatures, and the daily struggles to maintain a viable family cattle ranching operation. Guided by the hands of 3rd and 4th generation ranchers, OCEAN OF GRASS is a story of perseverance, of rebirth and death, hard work, sacrifice, ongoing stewardship of the land and care for its creatures presented in an lyrical, emotional, and beautifully filmed journey though the past and present. The film slowly peels back the layers of the interesting, heartfelt, and reserved folks who inhabit and coexist with the lands of the McGinn Ranch. The ranch itself is a very much a living organism, alive in every way. 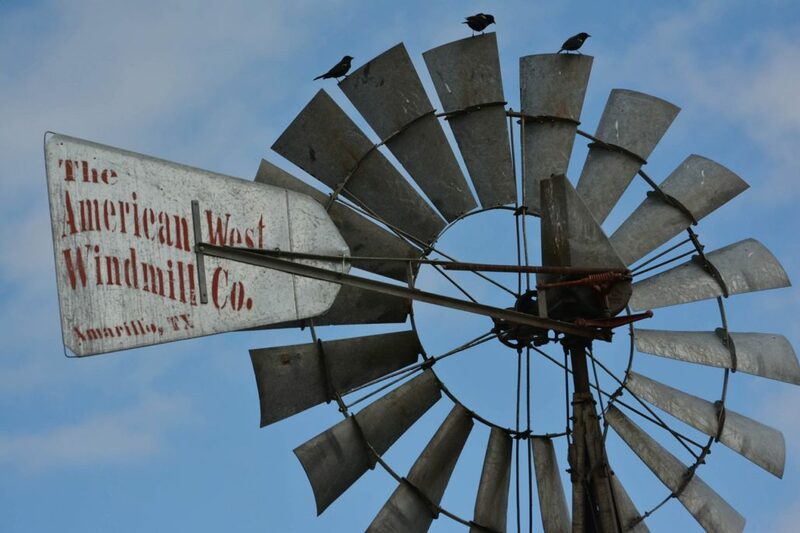 Walk the prairie that encapsulates the ranch property, and one senses the life and energy that emanates from within. It faces constant assault and interaction with the elements of weather, be it storms, drought, blizzards, or one of the many serene and tranquil days that covers the land. The feeling of contentment and being one with our planet on these special days is indeed fuel for the soul. This documentary film presents the unique visual viewpoint of Producer/Director/Cinematographer Georg Joutras within an immersive, experiential form. 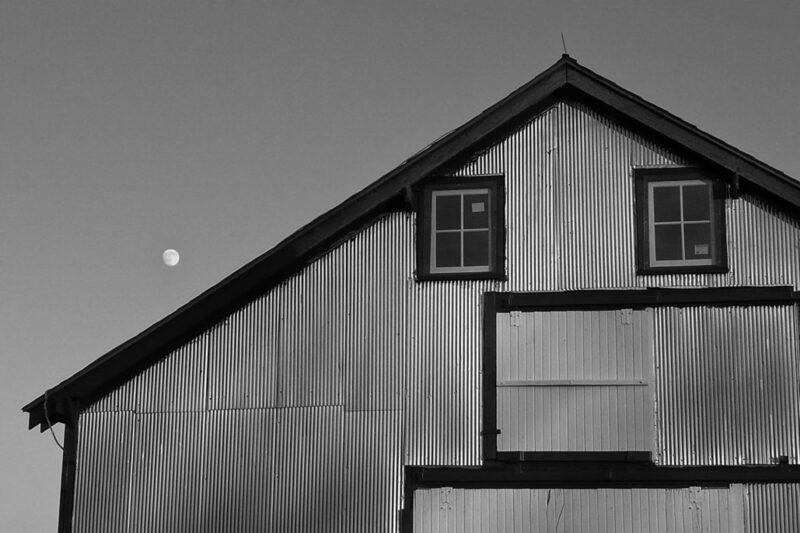 My history with the McGinn Ranch began in 2003 when I stopped in a for what I thought would be a couple hours’ visit. 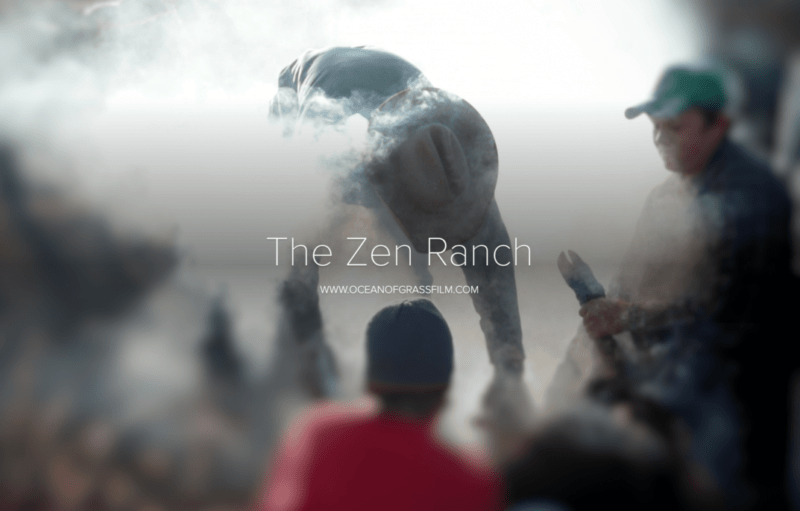 Almost a week later, I finally dragged myself away from the meditative essence and intriguing personalities of the ranch. Since then I have visited the ranch too many times to count. I find its Zen-like magic never ceases to reinvigorate my being. The people that call this place home are a unique breed: hard working, private, confident, honest, artistic and, as Laron McGinn states, “comfortable in their own skin”. This area is a land of limited population, even more limited job opportunities, and a harshness brought on by climate. But the Sandhills of Nebraska can also be idyllic, sublime, and on those special days in the spring and fall, truly magical. 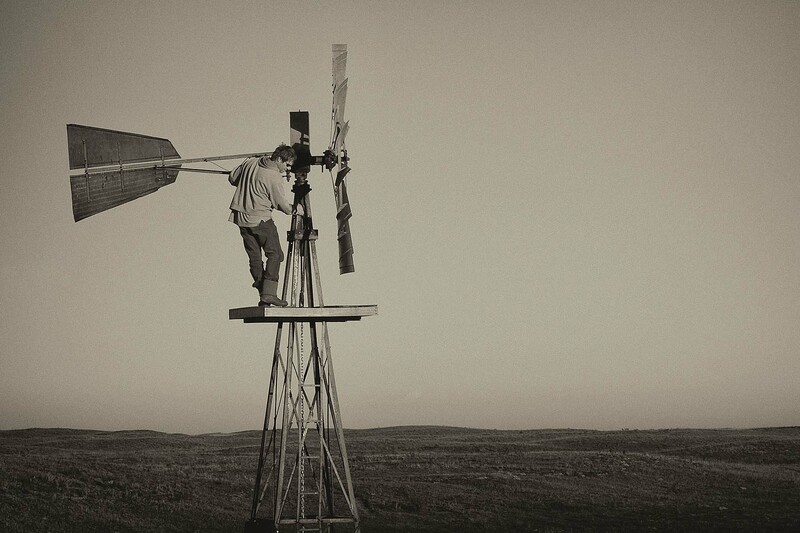 My goal in making this film was to capture what makes this region, and specifically this ranch, so special. Those who have visited will know to what I refer. There is a relaxed, yet watchful, atmosphere here. 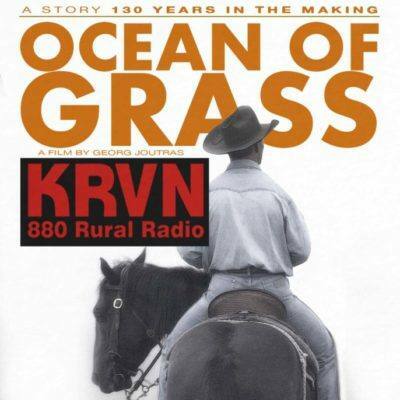 Combine this with the personalities of many who are larger than life, OCEAN OF GRASS provides a compelling and honest window into the ranching lifestyle, and a view back to many Americans’ historic vision of what makes this country great. I’ve been asked how would I explain the film. 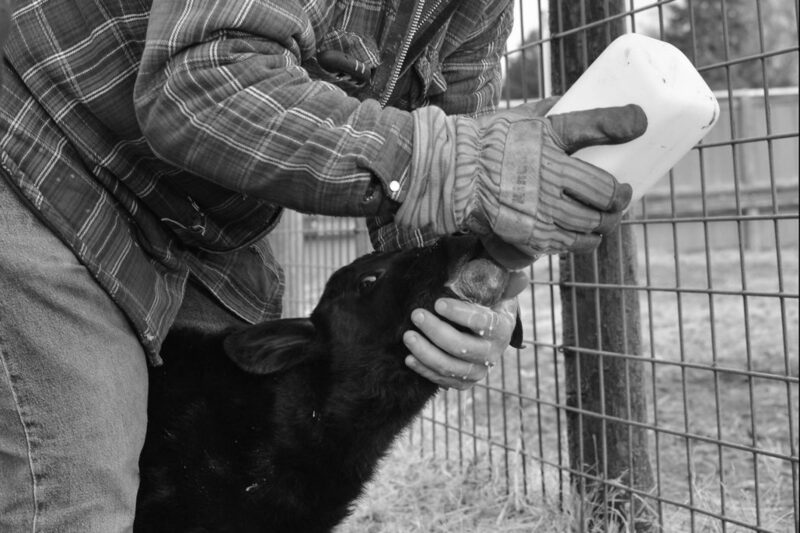 At a basic level, it can be simply stated as “a year in the life of a ranch”. But thematically, I am not necessarily telling a story, I am telling a feeling. The film presents itself in a pacing reminiscent of how I was exposed to the ranch…in a measured, timeless, and somewhat meandering manner: the same way a person gets to know any place in depth. Each time I visited I learned more about this place, this region, and the people that call the Sandhills home. It is the feeling of this particular ranch – at this moment in time – I attempt to capture in the film. Meeting the individuals of this area, one notices that the people can be somewhat reserved. You get to know them slowly, similar to peeling back the layers of an onion, each layer presenting you something different. The story eventually coalesces together in a sum larger than the parts, leaving the viewer with an intuitive feeling for the people and the place. This film is not presented in the typical story arc. 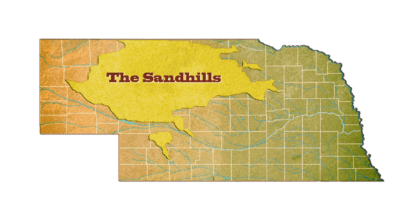 The story was dictated by the ranch, what it presented each day, and imbues a slow buildup of character development and appreciation of the Sandhills Region. 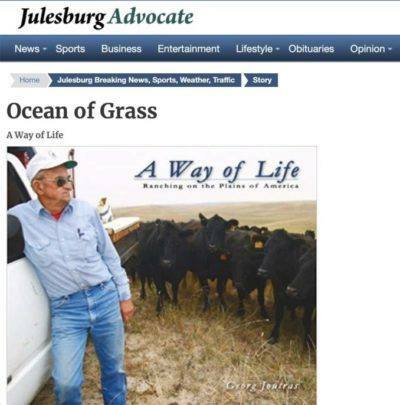 OCEAN OF GRASS is an organic journey, some may say about nothing, but in reality it is about everything important in life all rolled up into the ranch. Life, family, gratitude, hard work, perseverance, the love of one’s God, friends and community. In the end, it is an honest and personal look at being who you are and treating all inhabitants of this earth with respect. OCEAN OF GRASS was filmed over a 22 month span in Custer County, Nebraska. I assisted in the day to day activities on the ranch during my visits, but had to be ready to switch into cinematographer mode to capture those moments that encapsulate the ranch narrative. 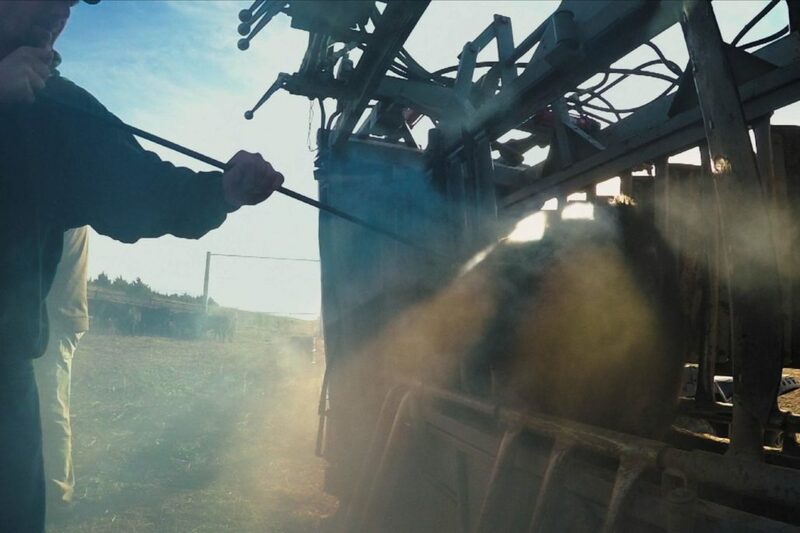 If you go out there, driving through the hills in a pickup as the cows are fed, or helping with the rituals of roundup and branding, I hope you will find this film captures what you feel. It is the experience of the ranch, the realness and the rightness of this place and the Sandhills people in general. 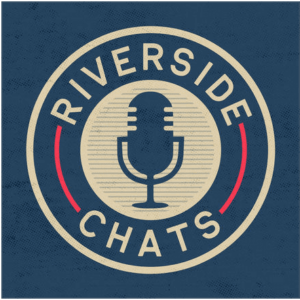 Receive showtimes, venues, and other information about the film. 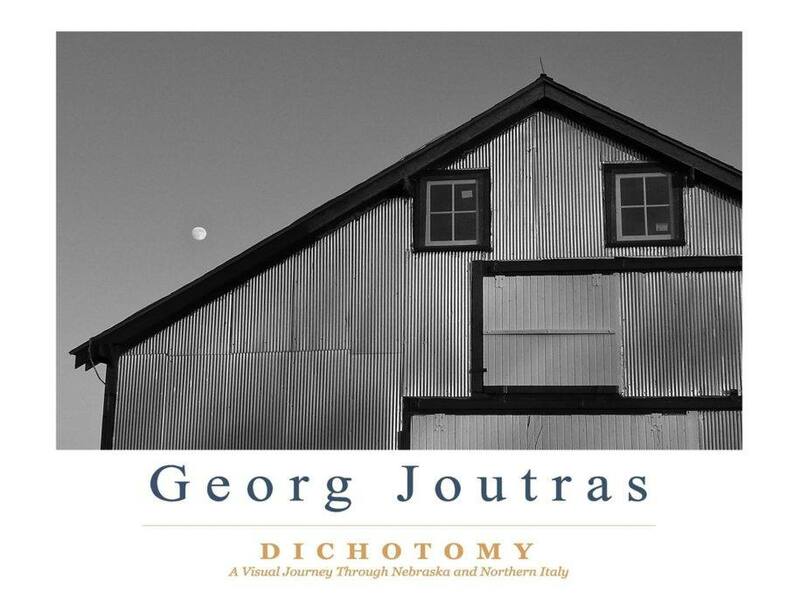 Filmmaker Georg Joutras reinvents himself as he moves through the journey of life. Georg’s interests and business experiences are many and varied. He created industry-changing software systems for radio and commerce, authored numerous books showcasing his spectacular photography, and found success in numerous other endeavors. Georg devoted almost 4 years to bringing his vision for the Ocean of Grass movie to completion. Always one to get his hands dirty (“that’s where the fun is”), Georg acted as the Producer, Director, Cinematographer, Sound Recorder, Film Editor, and Colorist for the film, learning new skills as needed. While filming, he was involved in the daily operations of the ranch. 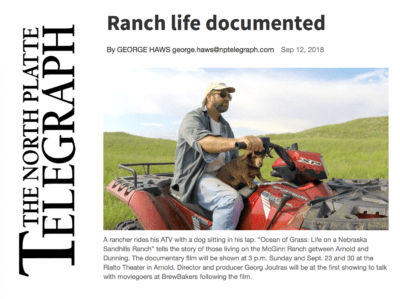 Georg’s ability to anticipate and capture the defining moments of the ranch story brings a new level of immersion to the experience of watching the film. This is his first feature length film. 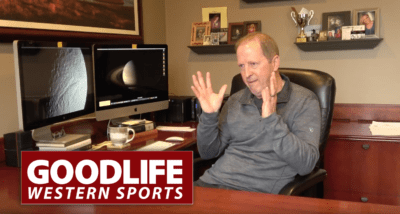 He resides in Lincoln, Nebraska but continues to visit the ranch to reconnect with the essence of life and nature. Tried and true is Mike’s viewpoint when running ranch operations. 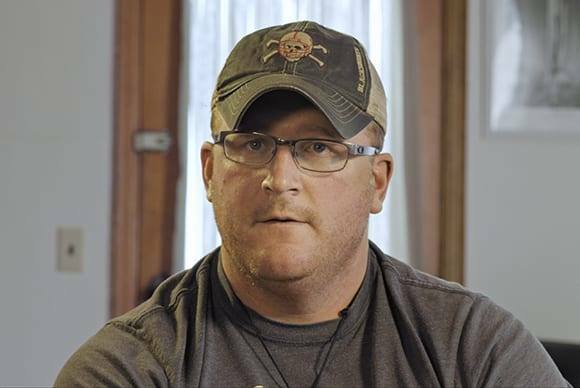 The years of struggle, dealing with the cold of winter, the heat of summer, and the highs and lows of a family ranch is reflected in his face. A true American, his pride in the ranch is evident. Butch is the younger brother of Mike McGinn. They have jointly run the ranch for decades, sharing responsibilities on many aspects of it’s operation. Butch is described best as man of kinetic energy, involved in many business and political endeavors in the Sandhills Region. 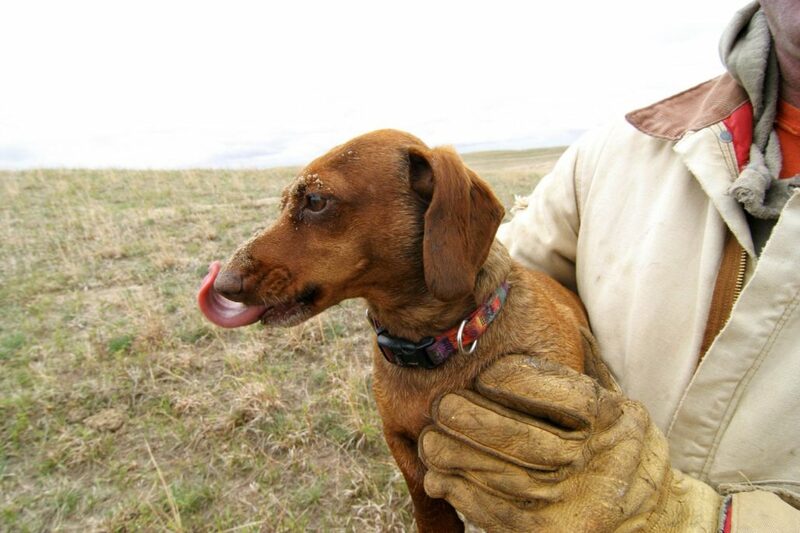 He takes great pride in the ranch’s long term friendships with neighbors and cattle buyers. 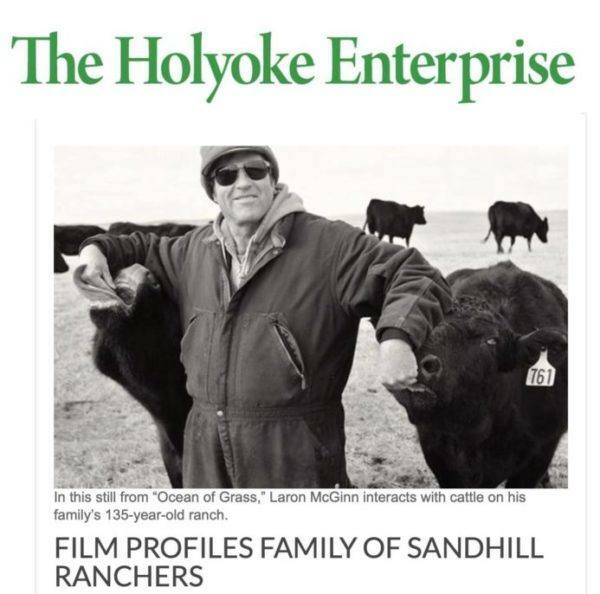 A man of the world, Laron has lived the majority of his life on the ranch following stints in commercial art, television, and movie production. His paintings and sketches are widely collected, residing in numerous private collections around the globe. He has travelled extensively, lives life to the fullest, and is known as a treasured friend to those who have met him. Laron is the son of Mike McGinn. View Laron’s art at www.laronmcginn.com. 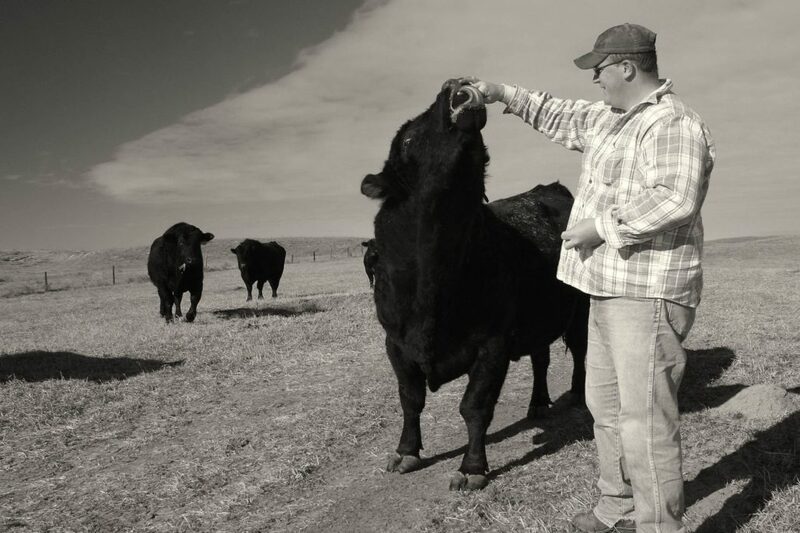 Matt looks towards the future when envisioning how the operations of the ranch can be improved with new technologies and sound range management practices. 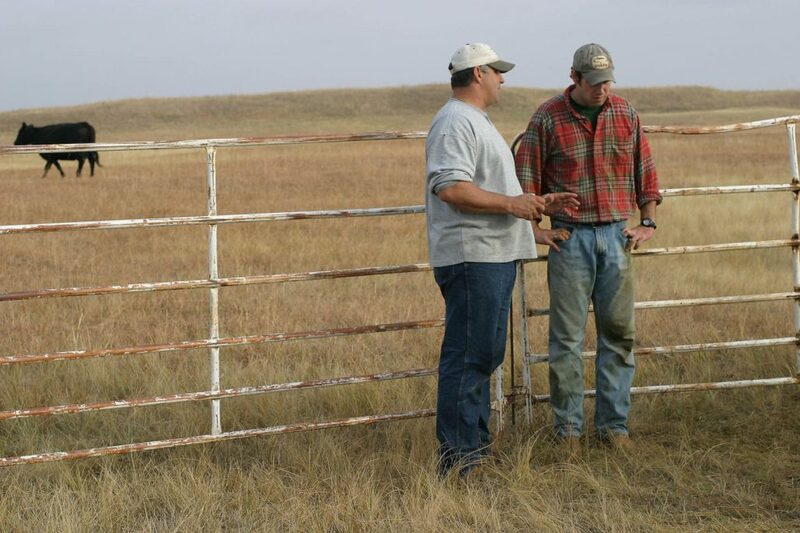 He has studied and implemented the concepts inherent in increasing pasture rotation as a means to protect the fragile environment of the Nebraska Sandhills, while also producing more resources to feed the herd. 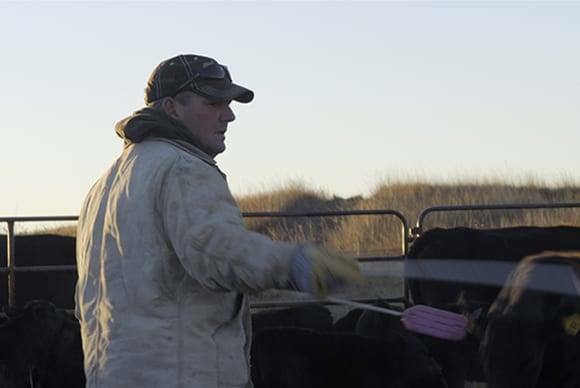 A 3rd generation rancher, Matt deeply understands the importance of preserving the ranch legacy for his children. Tom Larson is Assistant Professor of Composition (Emerging Media and Digital Arts) at the Glenn Korff School of Music at the University of Nebraska-Lincoln. Prior to becoming a faculty member at UNL, Tom was the co-owner of Studio Q Recording in Lincoln, where he produced music for TV and radio advertising, industrial videos and documentary films. Hear Tom’s music at www.tomlarsonmusic.net. Among his credits are the scores for three documentaries for the PBS American Experience series (a production of WGBH-TV, Boston): In the White Man’s Image, Around the World in 72 Days, and Monkey Trial (which won a 2002 Peabody Award). He also scored the documentaries Willa Cather: The Road is All for WNET-TV (New York), Ashes from the Dust for the PBS series NOVA, and the PBS specials Standing Bear’s Footprint, Most Honorable Son and In Search of the Oregon Trail. 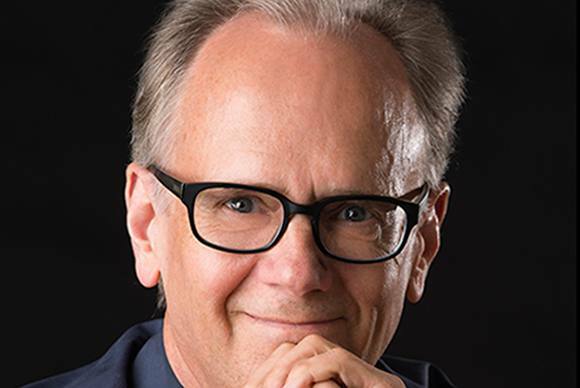 Tom has written extensively for the Nebraska Educational Telecommunications, South Dakota Public Broadcasting and the University of Illinois Asian Studies Department. His music has also been used on the CBS-TV series The District. 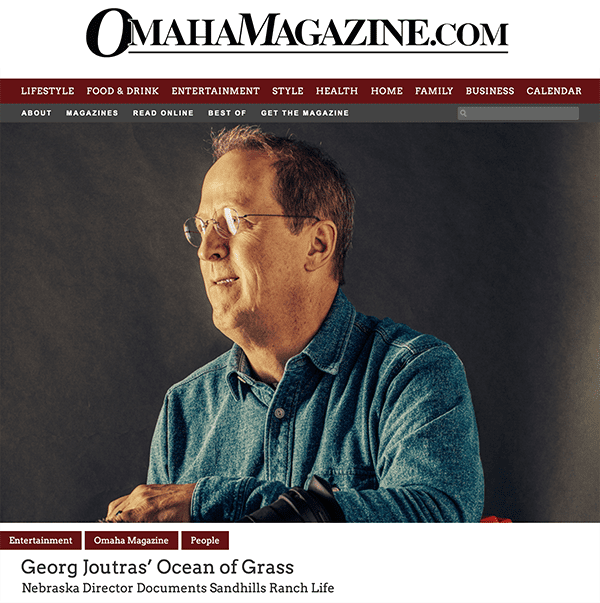 His commercial credits include music written for Phoenix-based Music Oasis, LA-based Music Animals, Chicago-based Pfeifer Music Partners and General Learning Communications, and advertising agencies in Lincoln and Omaha. As a recording engineer, Tom has worked on numerous projects as tracking, mixing, and/or mastering engineer for artists such as Paul Barnes, Jackie Allen, Hans Sturm, François Rabbath, Diane Barger, Paul Haar, The Nebraska Jazz Orchestra, The Concordia String Trio, Brad Colerick, and others. Tom is also the author of three college textbooks, The History and Tradition of Jazz (5th ed. ), Modern Sounds: The Artistry of Contemporary Jazz (2nd ed. ), and The History of Rock and Roll (5th ed. ), all of which are published by Kendall/Hunt Publishing (Dubuque, IA). His CD of original jazz compositions, Flashback, was released in 2003. He has studied jazz piano with Dean Earle, Fred Hersch, Bruce Barth and Kenny Werner, jazz arranging with Herb Pomeroy and music composition with Robert Beadell and Randall Snyder. In addition to performing with jazz ensembles throughout the Midwest and East Coast, he has performed with Paul Shaffer, Victor Lewis, Dave Stryker, Chris Potter, Jackie Allen, Bobby Shew, Claude Williams, Bo Diddley, the Omaha Symphony, the Nebraska Chamber Orchestra, the Nebraska Jazz Orchestra, and Lincoln’s Symphony Orchestra. A Lincoln native, Tom received a Bachelor of Music in Composition from Berklee College of Music in Boston, Massachusetts and a Master of Music in Composition from the University of Nebraska-Lincoln. 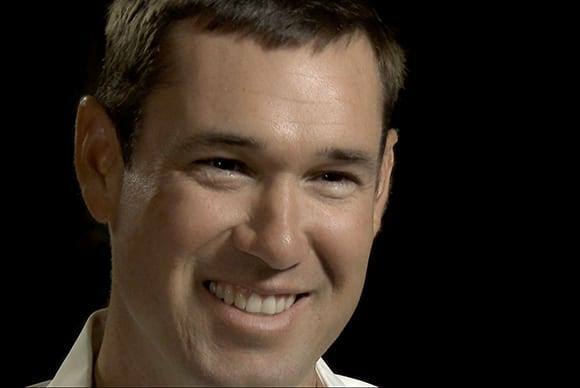 He is also an avid runner, and completed the Boston Marathon in 2005, 2006 and 2007. 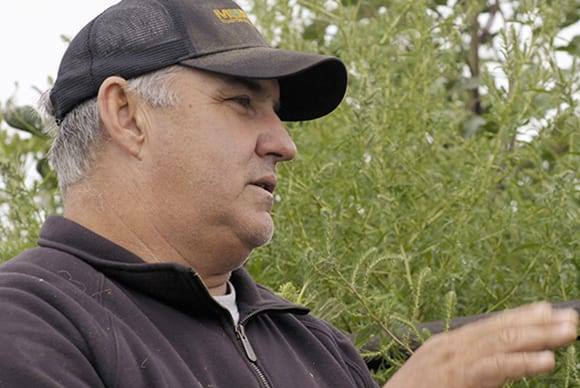 A long time presence on the ranch, Kevin has spent over 25 years working with the McGinn’s. 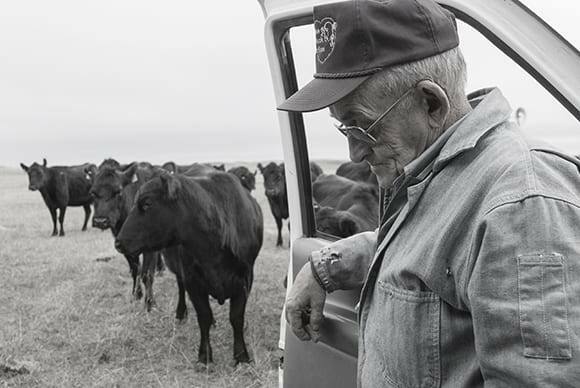 His knowledge, experience, and understanding of cattle operations is extensive and called on daily to help run the ranch. Kevin is a fixture in community service and local politics. 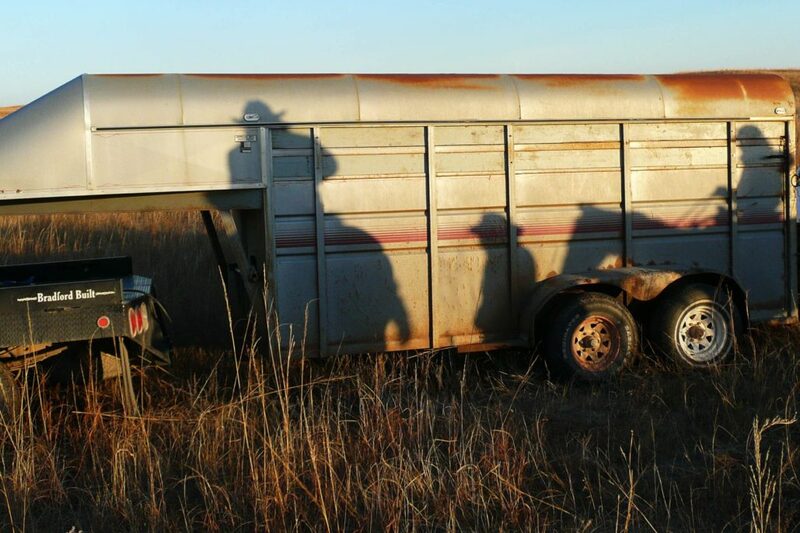 He has served as the Mayor of Dunning, Nebraska, spent many years on the town school board, and currently is the long standing Fire Chief of the volunteer fire department. 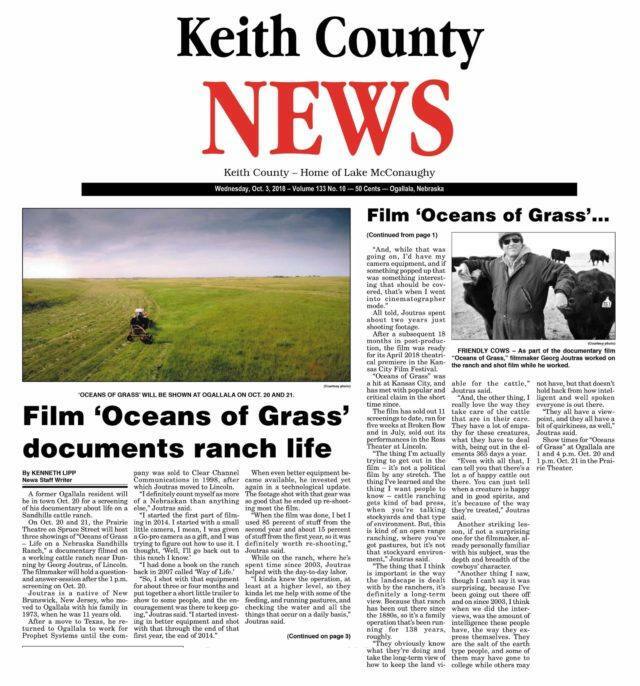 All three of Kevin’s sons have worked on the McGinn Ranch. His twin boys, Ridge and Riggin, are featured in the film. 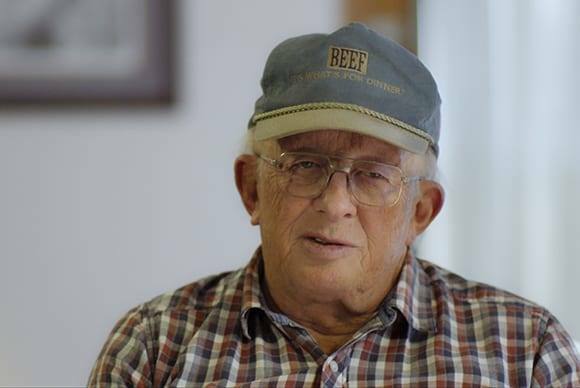 A man of boundless energy, valued opinions, and a down to earth attitude, John is the epitome of the American Rancher. 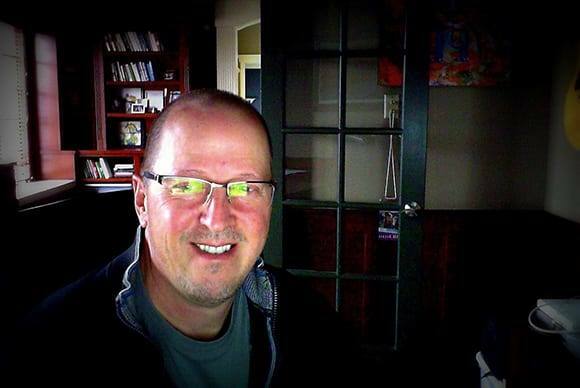 A hard worker who knows how to enjoy life, John will share his thoughts on almost any subject. More often than not these comments impart a wisdom many do not possess. Al Bishop met Laron McGinn in Italy in 2001. Laron was visiting and The Bishop Family was living there at the time. 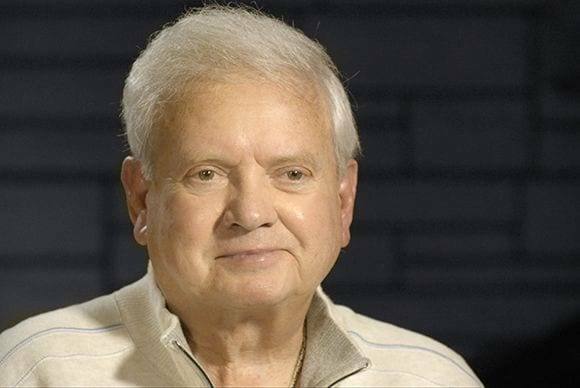 A few years later, Al and his family relocated to Nebraska from the east coast following his decades of service in the U.S. Air Force. 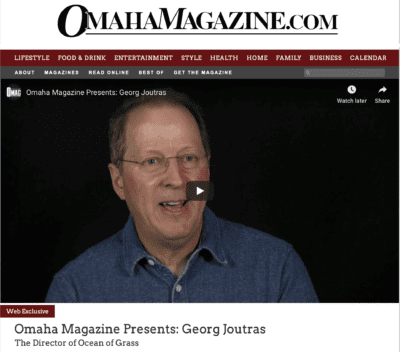 Although he came to Nebraska hesitantly and at the insistence of his family, he has grown to be a true Nebraskan and a respected member of the community. 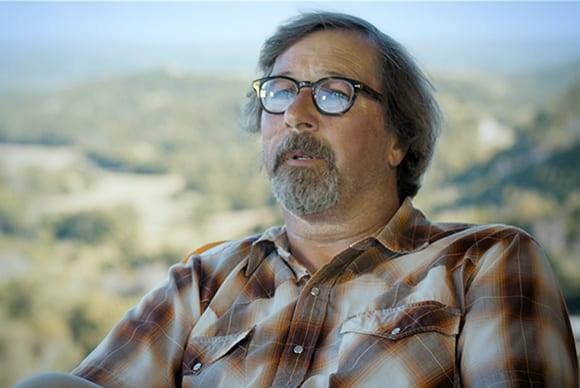 Three of his sons have worked on the McGinn Ranch. Al is well known as a philosopher/wordsmith. He is renowed for his ability to turn a phrase. Rev. Jim Hunt has served as priest in the area for over 10 years. 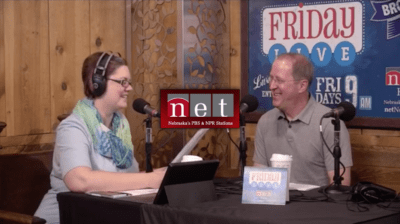 He is currently the pastor of Saint Anselms Church in Anselmo, Nebraska and Saint Josephs Catholic Church in Broken Bow, Nebraska. He is a accomplished cook and connoisseur of fine food and wine. He has studied in Rome and travelled extensively throughout Italy. Michael has an innate gift for verbalizing clear and insightful observations on life. He was raised in Italy and, after serving in the U.S. Army, spent several years working on the ranch. 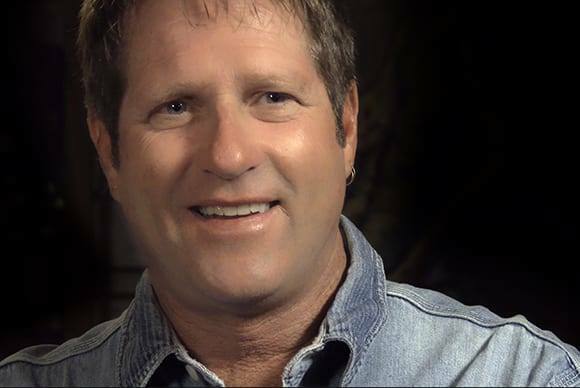 After leaving the ranch, Michael pursued a PhD in Psychology at the University of Wyoming and currently works with at risk youth. He is the son of Al Bishop. A friend of the ranch for over 35 years, Rev. 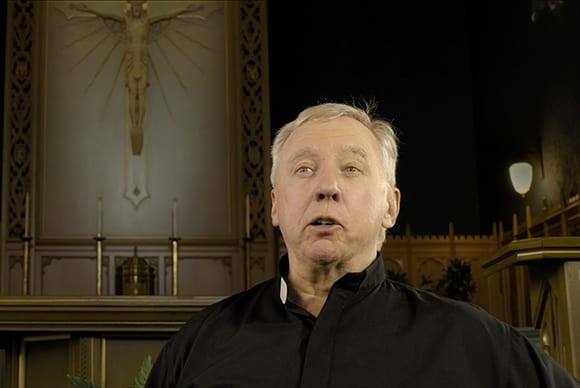 Brian Bell is the Pastor of St. Bernard of Clairvaux Church in Scottsdale, Arizona. He is a world traveller and is a true friend with a generous, compassionate soul. Karyn is the daughter of Mike McGinn, and sister to Laron McGinn. She is married to rancher John Seeley. Although quiet in nature, Karyn is known for her biting wit that manifests itself when least expected. “Ocean of Grass” has been completed. Screened to multiple sold-out shows across the Midwest. Additional screenings are being scheduled at select theaters nationwide. November, 2017 -Secondary Post-Production tweaks and improvements completed. February, 2017 -Initial Post-Production completed. October, 2016 -Sound Engineering process begins. October, 2016 – Film website and movie trailer created. October, 2016 – Film edit locked, musical score completed and placed in film. February, 2016 – Tom Larson begins creation of musical score. December, 2015 – Editing of film begins from over 100 hours of footage. November, 2015 – Primary cinematography is completed after 22 months of filming. July, 2014 – Proof of Concept video trailer created, primary cinematography commences. January, 2014 – Preliminary cinematography begins on project with working title of “A Way of Life”. OCEAN OF GRASS is proud to be a 100% Nebraska-produced film. Where is the McGinn Ranch located? 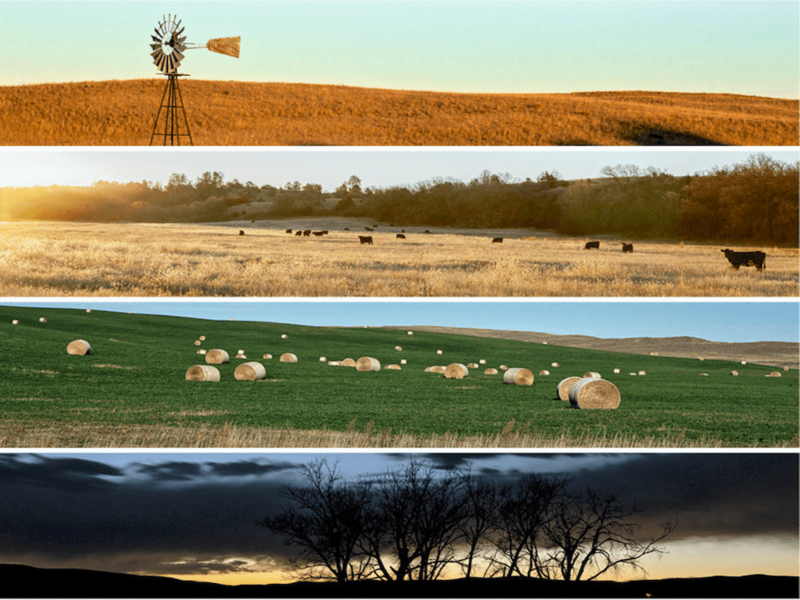 The ranch is located in NE Custer County, Nebraska, comprises many thousands of acres, and includes 4 homesteads. 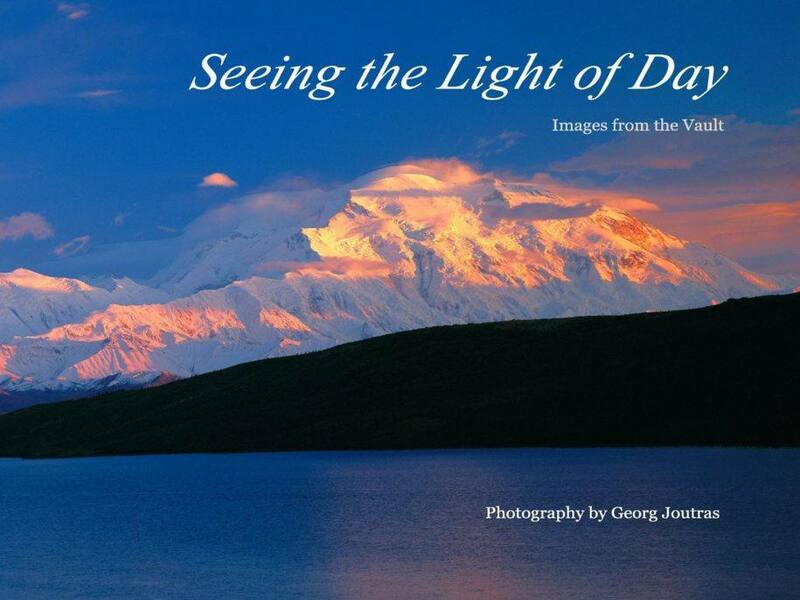 Cinematographer/Filmmaker Georg Joutras has spent decades capturing the sublime beauty of the earth. 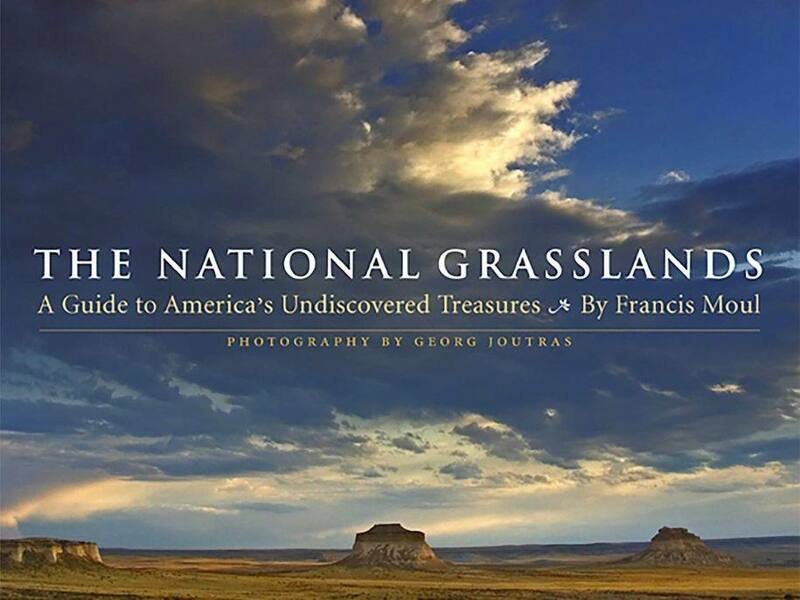 He has produced a series of fine art photography books that showcase the ranch, the Great Plains, and the world. You've gotten this far...Now share the Film with others!